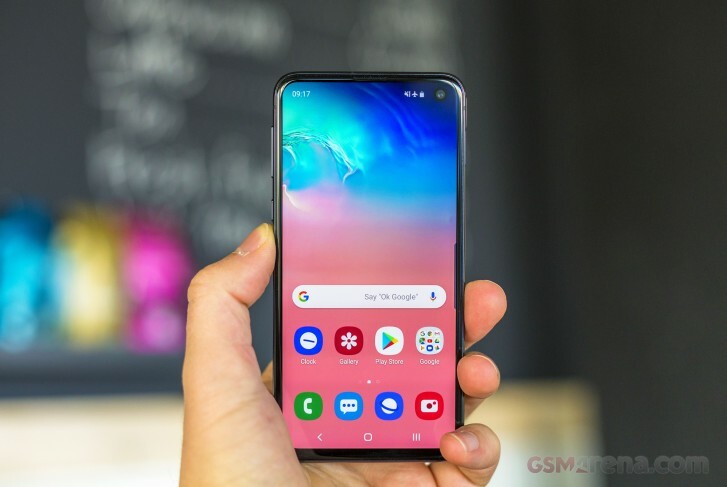 Say hello to the Samsung Galaxy S10e – the value flagship in Samsung’s S10 lineup and quite possibly the best compact phone period. We’re on our way to deliver a detailed review of the Galaxy S10e early next week, but before that let’s look at this little gem and share some early impressions. The first thing to stand out about the Samsung Galaxy S10e is its size. 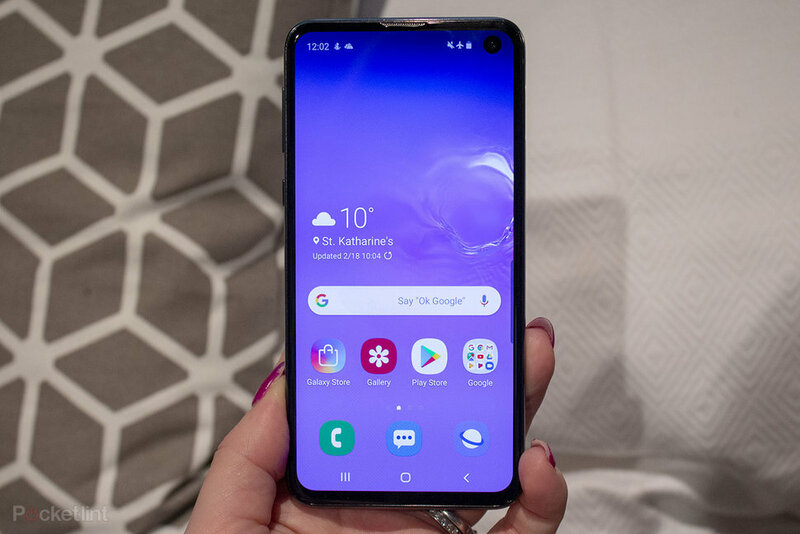 Unless you’re using an iPhone 8 or a Pixel 3 the Galaxy S10e will strike you as minuscule the moment you get your hands on it. A big part of that comes from its impressively light 150g weight – whereas the iPhone XS is similarly-sized, its 177g weight makes it feel much more substantial. Build quality is up to Samsung’s usual standards – which is to say excellent. We got used to the punch hole camera in a matter of a few days and we can’t say we notice it that much. A not so great thing about the Galaxy S10e is the fingerprint scanner’s placement. It is a bit too hit on the right side and we can’t say left-handed people will enjoy using it. 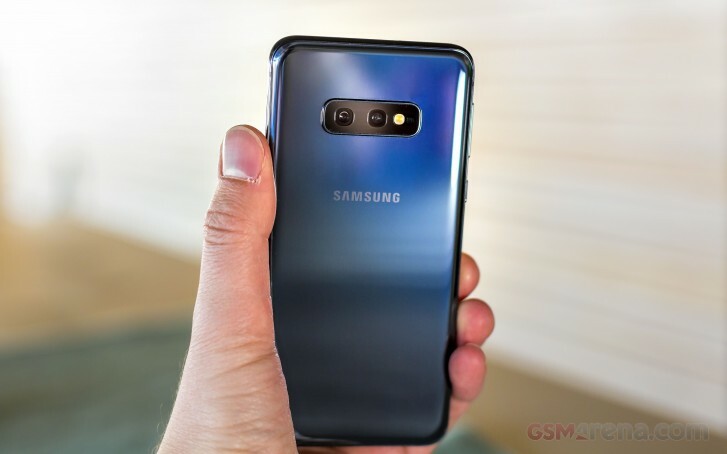 In order to keep its price lower than the Galaxy S10 and S10+, the Galaxy S10e forwent the in-display fingerprint scanner and instead uses the aforementioned side-mounted one, has a smaller non-curved 5.8-inch display of 1080p resolution and lacks a third camera on its back. But the capacitive scanner is faster than those in-display ones, the screen is still a Dynamic AMOLED with above-400ppi sharpness and while there is no telephoto camera on the Galaxy S10e, it has the new ultra-wide unit of the S10 and S10+. You still get Samsung’s powerhouse Exynos 9820 or Qualcomm’s Snapdragon 855, a starting storage of 128GB and 6GB of RAM, stereo speakers, wireless charging (including reverse), a 4K-capable selfie camera. This year, Samsung directly answered Apple’s three-phone approach with its Galaxy S10 lineup. The Galaxy S10e is the direct competitor to Apple’s iPhone XR and we think it outdoes it in most respects. 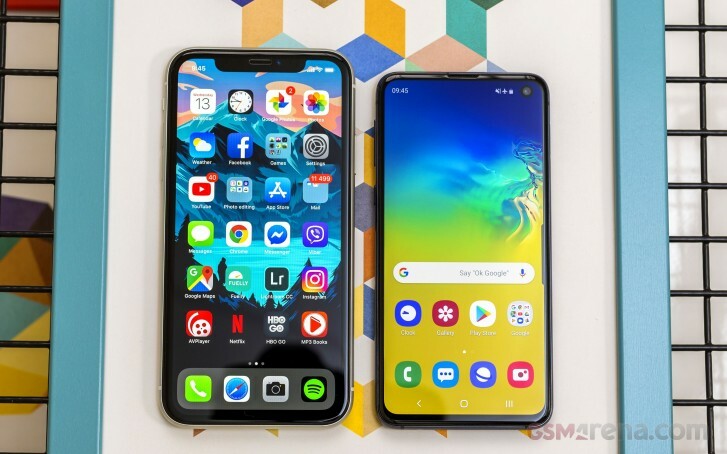 For starters the Galaxy S10e actually costs $750/€750 whereas the iPhone XR is $750/€850, making it €100 more expensive in Europe – and that’s made worse when you factor in that a €750 Galaxy S10e has an expandable 128GB of storage while a €850 iPhone XR has a fixed 64GB. The Galaxy S10e has a better selfie camera and the ultra-wide second camera on the rear, an AMOLED in place of an LCD and one of much higher resolution, a punch hole camera instead of a huge notch and slightly superior IP68 to the iPhone XR’s IP67. The other logical rival to the Galaxy S10e is Google’s Pixel 3. Here it will be a tougher choice. 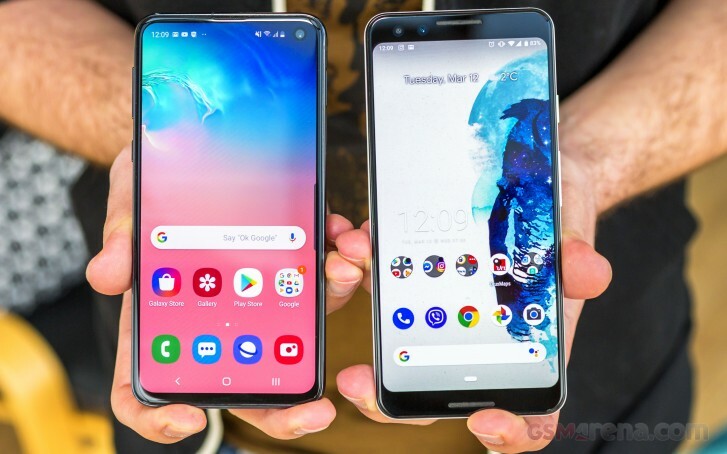 Both have a vastly different approach – a punch hole vs no notch, a single selfie camera vs a dual one, a dual main camera vs a single one, heavily customized Android vs stock Android – it really depends on your priorities which one is better. The Galaxy S10e rivals are great, but none of them quite match what it represents – a no-compromise compact flagship. The Galaxy S10e is a true powerhouse and one that easily fits in even the tightest jean pocket. Samsung’s One UI is an underrated feature of the Galaxy S10e as well. It’s much more fluid compared to Samsung’s old software and is worlds away in terms of design. And its new Night mode is perfect for the AMOLED-equipped Galaxy S10 lineup. Now all that’s left is to address is the battery life, camera quality, speaker loudness and display test. That and more will be looked at in detail in our full review, coming early next week!